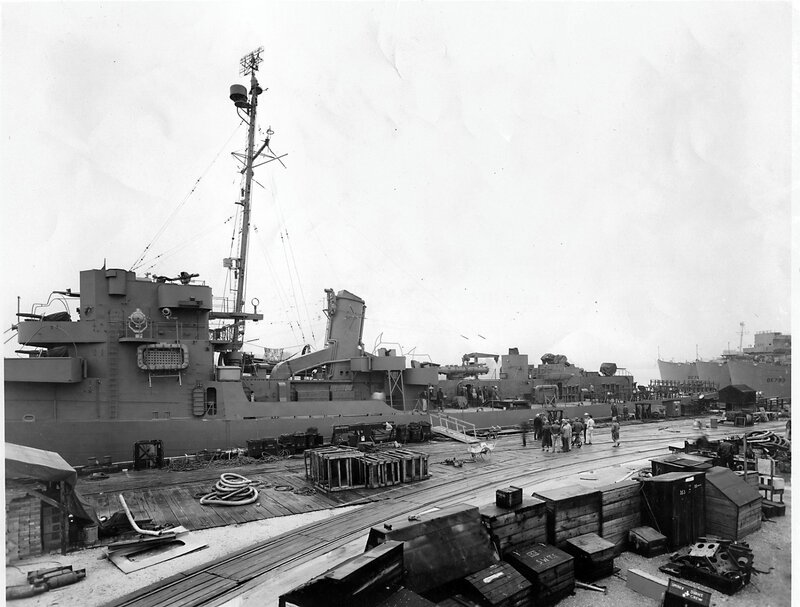 28 April 1943: Keel laid by the Consolidated Steel Corp., Ltd., Orange, Tex. 365k 28 November 1943: Orange, Tex. - Borum, two days before her commissioning. She's probably at the fitting out pier of Consolidated Steel's yard. 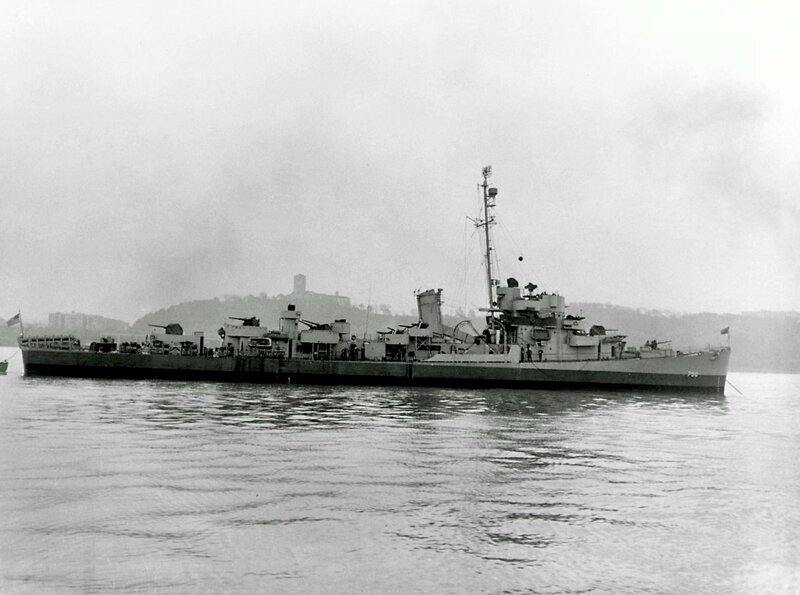 141k late February 1944: New York, N.Y. - USS Borum (DE 790) at anchor at New York, with her antiaircraft armament increased and her triple torpedo tube mount removed. 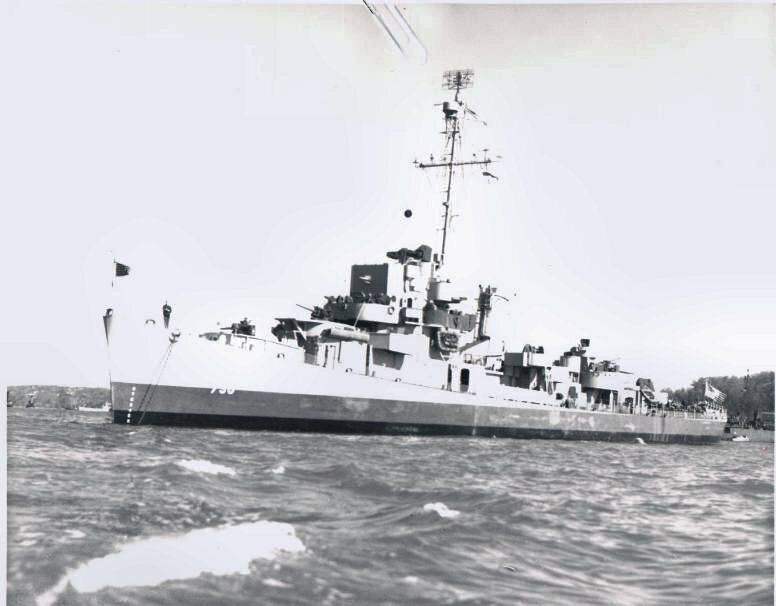 View the USS Borum (DE 790) DANFS history entry located on the Naval History and Heritage Command web site. View the official War History of USS Borum as submitted by the ship at war's end.